There have been many books written about Mary, Queen of Scots, not to mention plays and films, such is her reputation for great beauty and courage in the midst of the many dangerous situations in which she found herself, not least being held captive by Elizabeth 1 for many years. This book differs from most in that well over a third of the story concerns Mary’s life before she returned to Scotland to claim her throne. Mary’s life at the French court where she was to marry the Dauphin Francis, son of King Henri and Catherine de Medici will thus be unfamiliar territory for many readers. The story is told in the first person by Lady Ginette De Hautpre, lady in waiting to Mary along with the four Marys of legend and song. Early in the story Ginette, or Jenny as she is known, overhears what she takes to be a plot to poison those whom Catherine de Medici considered her enemies. Jenny resolves to spy for Mary to protect her. Mary’s marriage to the Dauphin is shortlived as he dies soon after and her position at the French court becomes untenable. After her mother’s death Mary resolves to return to Scotland and claim her throne. Her illegitimate half brother Lord James Stuart and other nobleman are not enamoured of this plan, but Mary is welcomed and begins to rule. 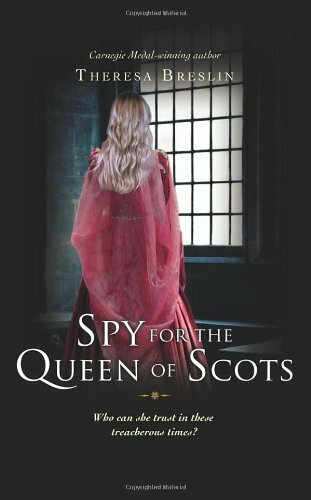 All the while Jenny continues to look out for Mary, while being very attracted to Sir Duncan Alexander, a Scottish nobleman who, she does not trust completely. Meanwhile Mary marries Lord Darnley and her story takes its well known path with the murder of David Rizzio, the birth of James I of England, followed by Darnley’s killing, and Mary’s subsequent ill-fated marriage to James Bothwell which leads to civil war and the flight to England. The first part of the book suffers somewhat from the complex historical background of the French and Scottish monarchies, with people telling each other things in order to inform the reader, rather than the reader being able to absorb this background in other ways (which is the real skill of good historical fiction). But once into its stride, the spell that Mary casts draws the reader into her life. Beautiful and naïve though she was, her plight cannot fail to involve the reader emotionally. The story ends with her flight to England, with a postscript of her last words, spoken at Fotheringay. Jenny is presumably a fictional character, in a landscape peopled with real historical figures, but she fits well into it, and her loyalty and love for Mary shine through. The feuds and factions of the Scottish court are clearly outlined, so that the reader understands how difficult it must have been for anyone to rule, let alone a young and naïve woman with questionable judgment. Telling as it does of Mary’s life before she returned to Scotland, this novel stands well alongside Mollie Hunter’s You Never Knew Her as I Did (1981), about Mary’s imprisonment and escape from Lochleven Castle.